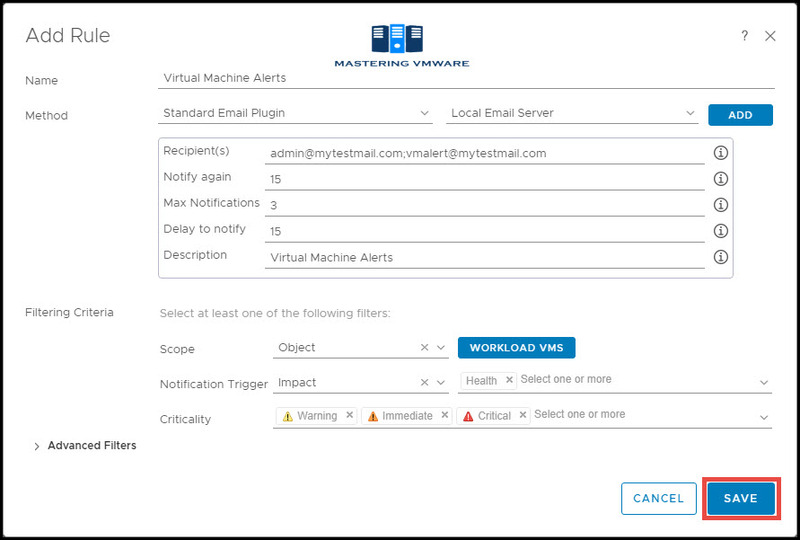 vRealize Operations Manager provides feature of Email Alert notification where we can configure Alert notification so that we can directly receive those alerts generated in vROPS directly into mail box. 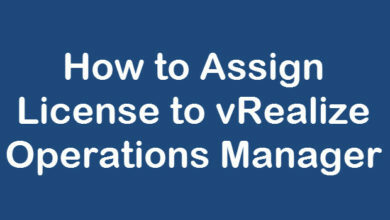 It is very beneficial feature where you can configure Alerts for each objects in vRealize Operations Manager . 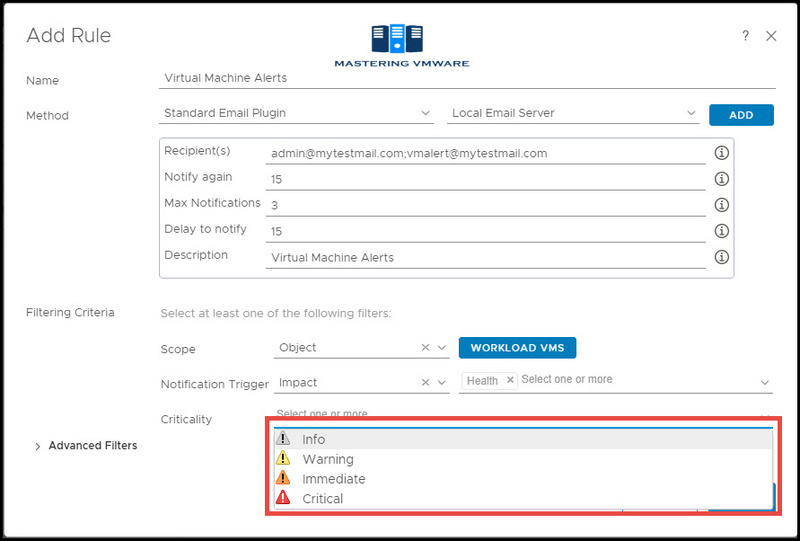 I have one of the experience where a company wanted to have alert notification based on the VM Folders so that the owner of that virtual machines will be notified directly when any alert generated on their respective vm folders. 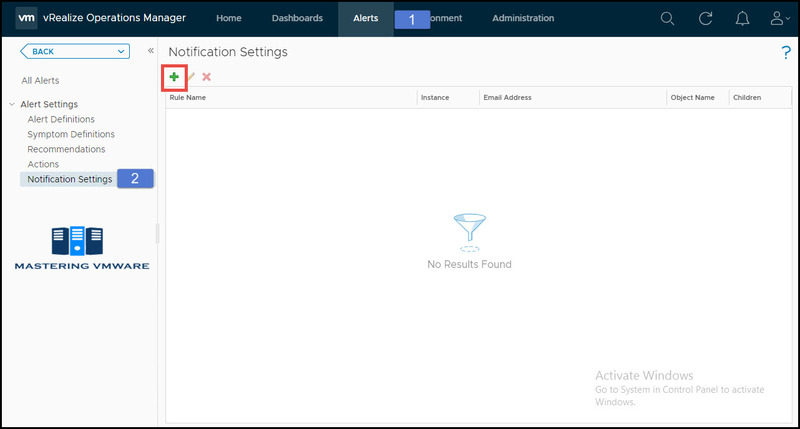 Here you will get all the alerts generated on each objects. Expand Alert settings and select Notification settings. 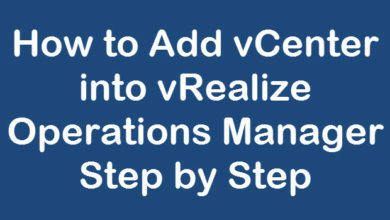 Click on Green Plus icon to configure notification. Notification wizard will open here. Provide the Name for the Notification. 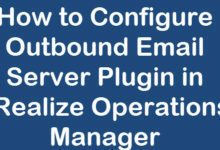 Select Standard Email Plugin and your configured outbound email plugin in Method. 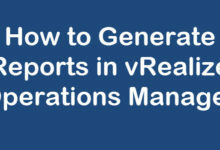 You can specify multiple recipients based on your requirements. You can also configure Notify again, Max notification, Delay to notify and Description based on your requirements. Under the Filtering Criteria select the drop down in Scope and select the appropriate value Object Type, Object, Tags or Applications. 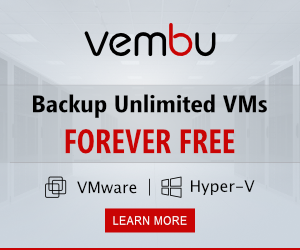 We are configuring Virtual Machines so we have selected object. 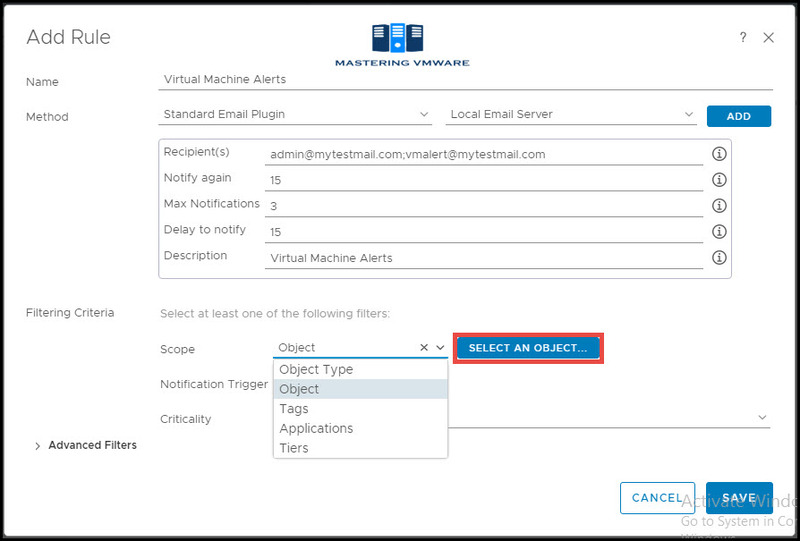 Click on Select Object to specify your objects on which you want notifications. You can type the Object Names in Select object to specify your objects. 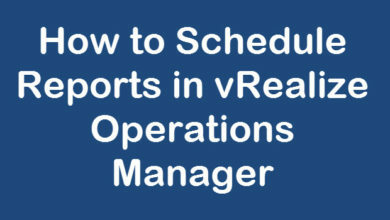 We have selected Object as Workload VMs folder. 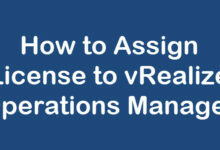 Select your object based on requirements. You have 3 options Alert Type, Impact and Alert Definition. So we are going with the Impact, you can choose the Trigger which is suited for your requirement. 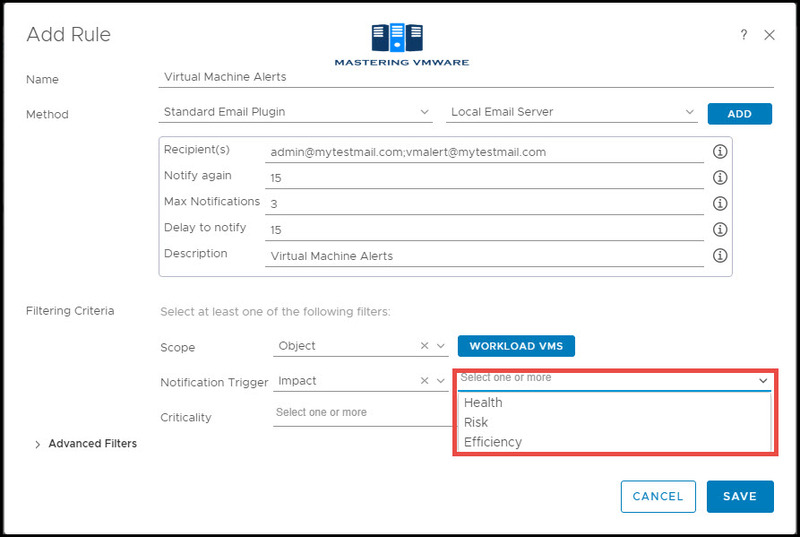 After selecting Impact we have to specify which impact we want to go with Health, Risk or Efficiency of the VMs. We are going to monitor Health so we have selected Health here. In Criticality we can specify how critical notification we want to receive. Here we have selected Warning, Immediate and Critical as all the recommended criticality. You can choose based on your requirement. Click Save to save the notification. As you can see that Notification is configured and saved successfully. 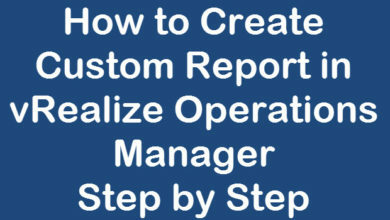 You can see the values such as Instance, Email Addresses and Objects configured. So using this way you can configure notification in your environment, You can create multiple notifications as well. 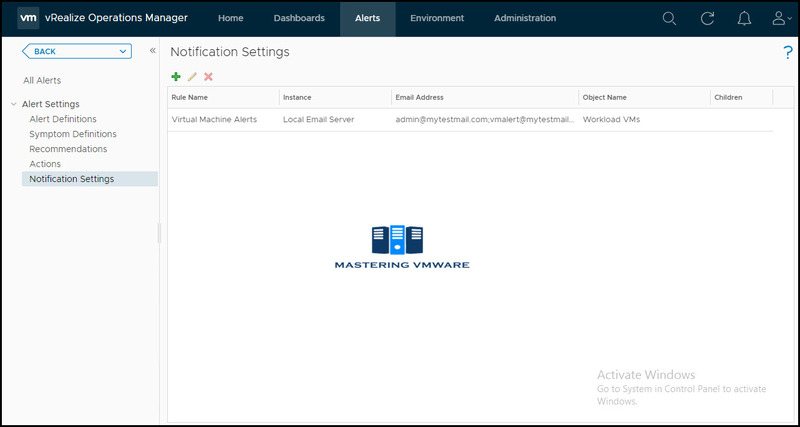 Make sure to configure Notifications properly so that you receive the alerts based on your configuration.